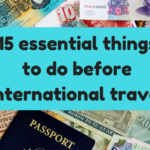 Planning a trip to Southeast Asia can be overwhelming as there are so many beautiful places to visit and amazing things to do. 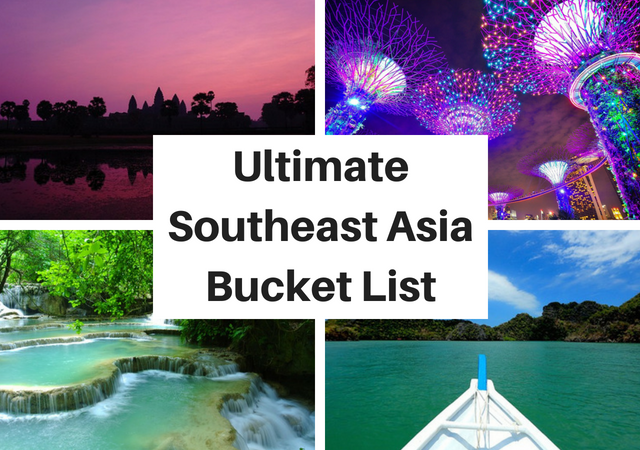 To get you started I’ve created this epic guide containing over 100 things to see and do in Southeast Asia which are perfect for any Southeast Asia Bucket List. 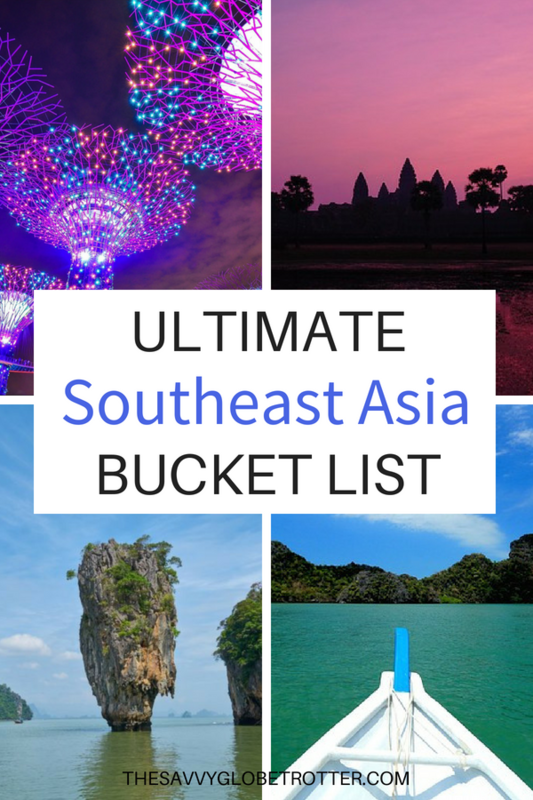 Some of these I have visited and done myself and the rest are places and experiences that I have researched and added to my Southeast Asia bucket list. See Sultan Omar Ali Saifuddien Mosque and Jame’ Asri Sultan Hassanal Bolkiah, two beautiful mosques located in the capital city of Bandar Seri Begawan. Do a homestay at Kampong Ayer, a large network of stilt villages over the Brunei River. Visit Istana Nurul Iman (the residence of the Sultan of Brunei and largest residential palace in the world) during the first 3 days of the annual Eid Al-Fitr celebration. This is the only time the inside of the palace is open to the public for three days of the year. Visit Ulu Temburong National Park on a day trip from Brunei. 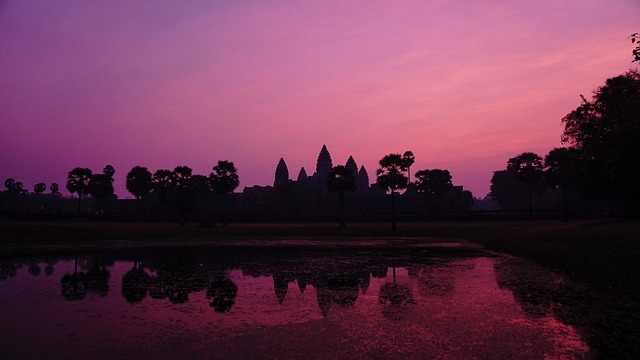 See Angkor Wat at sunrise and sunset. See the Royal Palace and Silver Pagoda at Phnom Penh‎. Bike or drive through the Cardamom Mountains. Take a boat up the Sangker River from Siem Reap to Battambang. Ride the Bamboo train in Battambang. 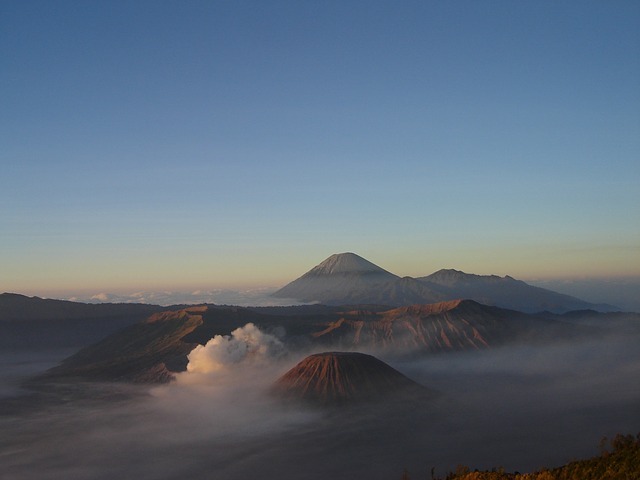 See the sunrise and hike up Mount Bromo. Hike Mount Batur in Bali at sunrise. Take a photo on the Bali Swing. Get close to monkeys at Ubud Monkey Forest (Sacred Monkey Forest Sanctuary). Visit the Tegallalang Rice Terraces in Ubud. Photograph Tanah Lot Temple (one of the largest temples in Bali built on a huge offshore rocks) at sunset. Spot a Komodo Dragon (the largest lizard in the world) at Komodo National Park. Komodo National Park also has great scuba diving and a pink beach. See the ancient monuments in Borobudur, a UNESCO World Heritage site, and the Prambanan temple complex. Visit Lombok Island- explore waterfalls and visit the incredible Pink beach. Trek to the summit of the active Rinjani volcano (second highest volcano in Indonesia) in time for sunrise. Visit the Gili Islands. You can swim with turtles, go wreck diving, and sit on a swing in the ocean. Go scuba diving or snorkelling at the Raja Ampat Islands. Hike Kawah Ijen at night to see electric blue flames rising from the crater before dawn. See the three volcanic crater lakes at Kelimutu. They are different colors and the color changes. Visit Uluwatu Temple (Uluwatu Pura), perched on a coastal cliff and watch a performance of kecak, a traditional dance. This tour combines both. See Lake Toba (or Danau Toba) – the largest lake in Indonesia and the largest volcanic lake in the world. Go diving with manta rays. Take the slow boat from Thailand to Luang Prabang. Explore the beautiful city of Luang Prabang (the entire town is a UNESCO World Heritage site). 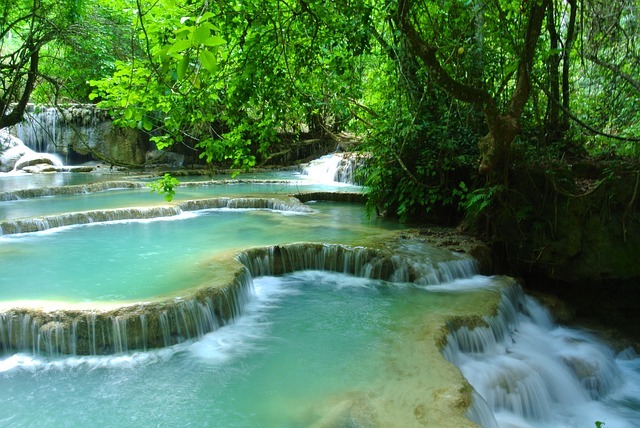 Take a dip at Kuang Si Falls, beautiful waterfalls right outside of Luang Prabang. Visit Vientiane, the underrated capital of Laos. See Pha That Luang or Great Stupa in Vientiane – it is an important national monument in Laos and a national symbol. Visit Buddha Park near Vientiane. Go river tubing in Vang Vieng. Visit Don Det (4,000 Islands). Spot a gibbon at Bokeo Nature Reserve. See That Ing Hang Stupa in Savannakhet. See the Plain of Jars. Rent a motorbike to explore the Bolaven Plateau motorbike loop. Visit Petronas Twin Towers, the world’s tallest twin towers in Kuala Lumpur. See the Batu Caves. Click here to book a half day tour from Kuala Lumpur. See awesome street art in Penang. Visit the historical city of Malacca (or Melaka). Click here to book a full day tour from Kuala Lumpur. See the Crystal Mosque in Kuala Terengganu, one of the most beautiful mosques in the world. Climb Mount Kinabalu, the highest mountain in Borneo. Visit Cameron Highlands known for its tea plantations. Click here to book a full day tour from Kuala Lumpur. Go snorkeling or scuba diving at Tunku Abdul Rahman Marine National Park. Take a Kinabatangan River Cruise and spot wildlife. Visit the Deramakot Forest Reserve. Visit Sepilok Orangutan Rehabilitation Center in Sabah. Visit the Labuk Bay Proboscis Monkey Sanctuary in Sabah to see proboscis monkeys which are only found in Borneo. Watch the sunrise and sunset over the temples in Bagan. 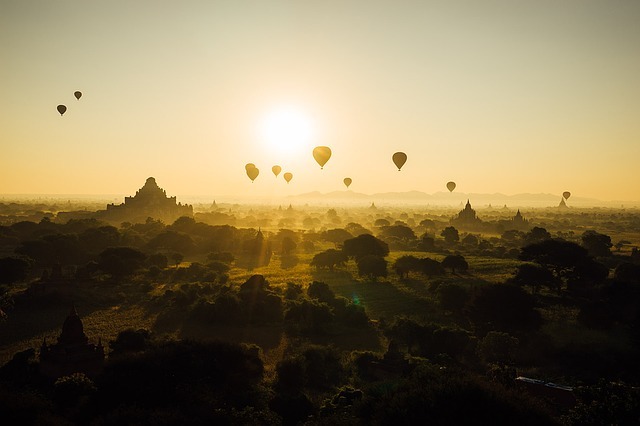 Take a hot air balloon ride over the temples at sunrise in Bagan. Take a boat cruise between Bagan and Mandalay. See the sunrise at U Bein bridge (the world’s longest teak bridge) in Mandalay. Watch the sunset over Mandalay from the top of the Mandalay Hill. Take a hot air balloon ride over Inle Lake. See the Shwedagon Pagoda at Yangon. See the Golden Rock Pagoda (or Kyaiktiyo Pagoda) a small pagoda perched on the top of a boulder covered with gold leaves and an important Buddhist pilgrimage site. Click here to book a tour from Yangon. Visit Pindaya Caves full of thousands of gold Buddha statues of various sizes. Hang out at Ngapali Beach voted one of the best beaches in Asia by Tripadvisor users. Take a river cruise on the Irrawaddy river. Take a train ride over the Gokteik Viaduct, the highest bridge in Myanmar. 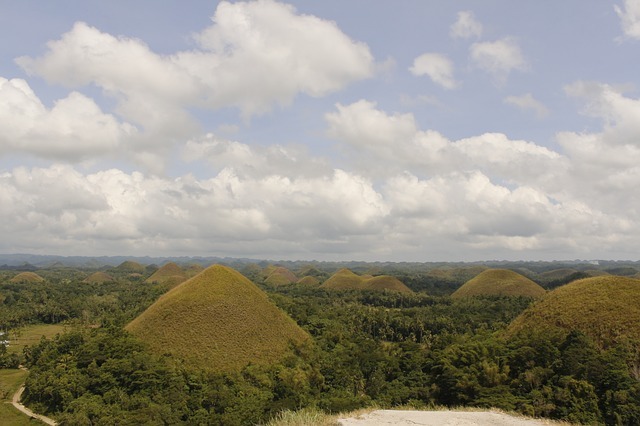 See the Chocolate Hills in Bohol. Hike Taal Volcano. Click here to book a tour from Manila. Visit the capital of Manila. Visit the picturesque city of Legazpi. Visit the colonial city of Vigan, an UNESCO World Heritage Site. Underwater river tour through caves in Puerto Princesa, Palawan. Island hopping, snorkeling and canyoning in Cebu. Read: Top 10 things to do in Cebu. Go island hopping. There are so many more islands to visit! See the hanging coffins of Sagada. Go diving at Tubbataha Reefs Natural Park, probably the best place to go diving in the Philippines and one of the best dive sites in Asia according to CNN. Go sand boarding in Ilocos Norte. See whale sharks at Donsol. Visit Surigao and see the blue Enchanted River. Visit Bulusan Volcano Natural Park. See Taluksangay Mosque (known for its bright red dome) in Zamboanga. 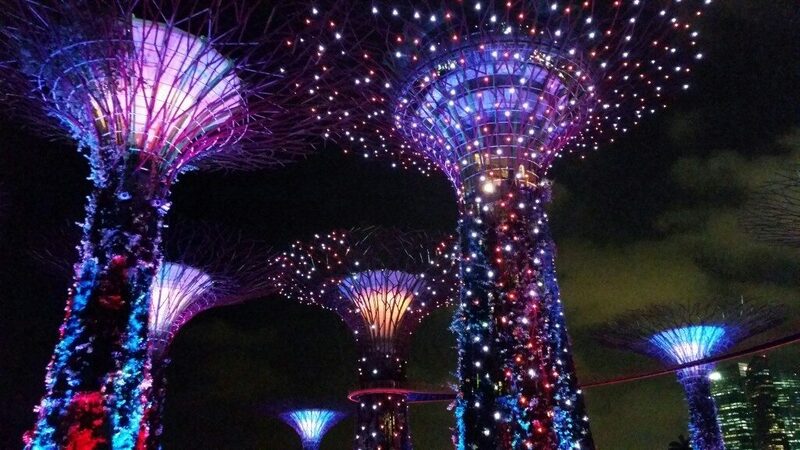 See the nightly light and music show at the futuristic looking Supertree Grove at the Gardens By the Bay. Swim in the world’s largest rooftop infinity pool at the Marina Bay Sands hotel (you need to be a hotel guest to swim in the pool). Eat at one of Singapore’s hawker centers. Admire the Singapore skyline from a rooftop restaurant or bar like CÉ LA VI Restaurant and SkyBar. Visit the Grand Palace and nearby Wat Pho (with its famous Reclining Buddha) and Wat Arun in Bangkok. Walk on the infamous Khao San Road in Bangkok. 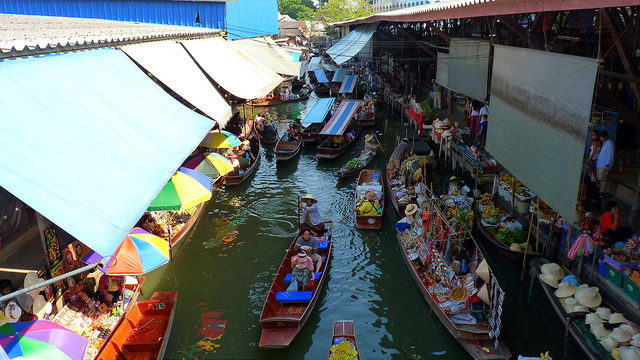 Visit the Damnoen Saduak Floating Market, the largest and most famous of Thailand’s iconic floating markets. Explore Khao Yai National Park, one of largest and most visited national parks in Thailand and a great place to view wildlife, including gibbons, elephants, deer, bears, macaques and more. 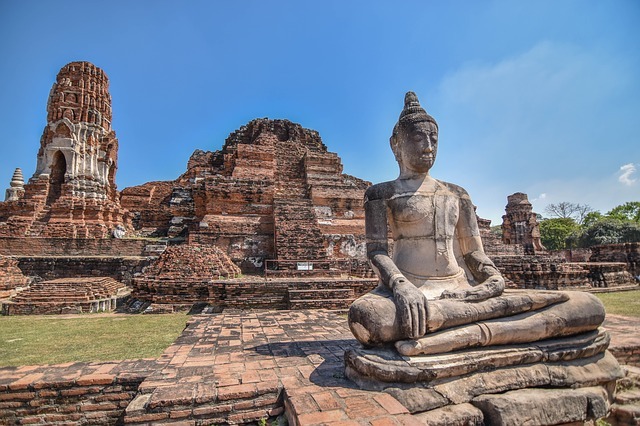 Visit the the Historic City of Ayutthaya, a UNESCO World Heritage Site. Relax in Pai, a small hippie town. Go temple hopping in Chiang Mai. Feed and bathe elephants at a responsible and ethical sanctuary like Elephant Nature Park. 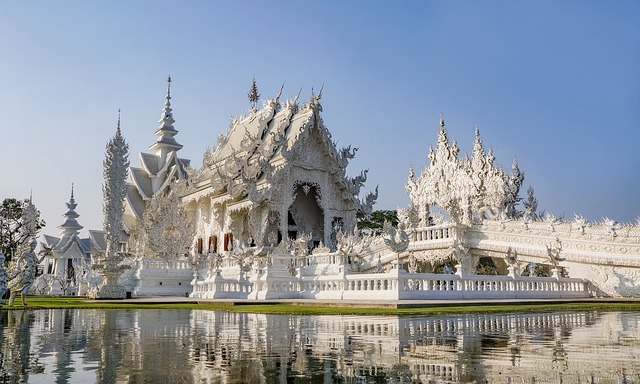 See the stunning Wat Rong Khun (also known as White Temple) located near Chiang Rai. Ride the Thai-Burma Railway (Death Railway). You can visit on a tour from Bangkok. Explore Phang Nga Bay. One of the highlights is James Bond Island (a needle formed limestone rock in the sea featured in the James Bond movie The Man with the Golden Gun). Celebrate Yi Peng and Loy Krathong (Lantern Festival). Beach hop and rock climb in Krabi. Climb the 1200+ steps to the summit of the Tiger Cave Temple (Wat Tham Suea) in Krabi. Take a speedboat to Phi Phi Islands. Visit Cheow Lan Lake located within Khao Sok National Park. Get soaked at the Songkran Water Festival. Party all night at the beach at a Full Moon Party at Koh Phangan. Visit the uninhabited Jaco (or Jako) Island. Visit Dili (the capital). Click here to book a tour with a local guide. Take a day trip to Atauro Island for snorkelling & hiking. Climb the 500+ steps to the top of Cristo Rei, a tall statue of Jesus Christ. Explore Hoi An. This city is a full of cheap tailors and is a good place to get affordable custom made clothing. Take a Halong Bay Cruise. Take a river cruise on the Mekong. Go trekking in Sapa and meet the local ethnic tribes. See the sand dunes in Mui Ne. Walk along the new Cau Vang “Golden Bridge” in the Ba Na Hills near Danang. This bridge looks like it is being held up by 2 giant hands. Ha Giang Extreme motorbike loop. So there you have it – the ultimate Southeast bucket list. If there is an experience or place I should include let me know in the comments below! 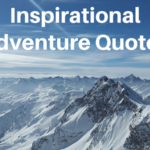 Best Adventure Quotes That Will Inspire You to Explore the World! I’ve had my eye on visiting Southeast Asia for a while now but it’s so hard to decide where to go. This gives me an idea what I can expect in each place. Thanks for the suggestions! That’s indeed is a good collection of things to do in asia. I have seen most of them already, but nice to see all these in one place. As somebody who went to Mount Kinabalu I wholeheartedly agree that should be in this top 100!